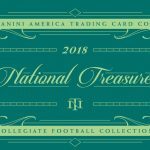 Blog Homepage \ Sports Card News and New Products \ Preseason favorite 2018 Panini Origins Football out August 22nd! 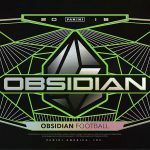 Panini is bringing back an early season favorite to their football cards this August with the release of 2018 Origins Football! 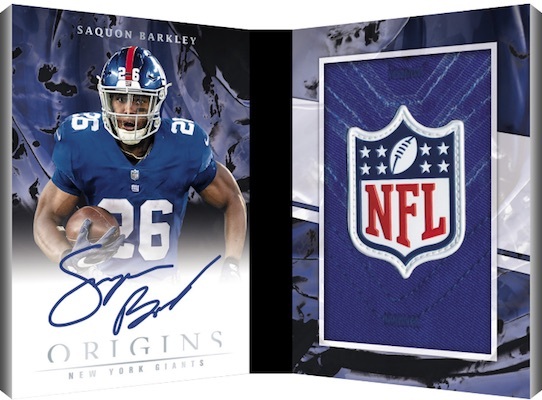 Thanks to its unique designs and hard-signed autographs, Origins has become a popular preseason release. Sticking to this tried-and-true formula, each 2018 box will average one on-card rookie autograph, one jumbo rookie patch autograph and one memorabilia card. 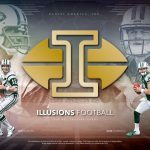 2018 Panini Origins Football focuses the hits on the new rookie class including the likes of Josh Allen, Saquon Barkley, Sam Darnold, Lamar Jackson, Derwin James, Baker Mayfield, Calvin Ridley, Josh Rosen, and Roquan Smith. There are multiple hard-signed sets, including Rookie Autographs with Red (#/99 or less), Blue (#/49 or less), Turquoise (#/25 or less), Gold (#/10 or less), Green (#/5 or less), and one-of-one Black parallels. For current players, the Origins Autographs line displays Bronze Ink (#/99 or less), Silver Ink (#/25 or less) or Gold Ink (#/10 or less). The offensive skill positions are featured across three inserts – Passing Stars, Receiving Stars, and Rushing Stars. All three inserts feature limited inscription versions that add in some of a players collegiate stats. Collectors can look forward to a four-player Quad Rookie Autograph cards for all three positions as well. 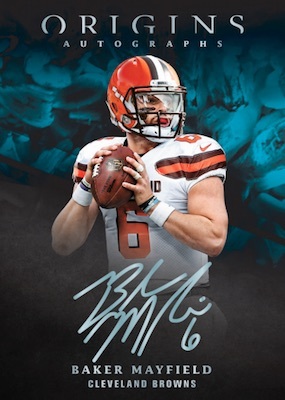 Booklet cards account for a ton of the on-card signatures in 2018 Origins. 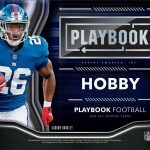 Options include the Rookie Booklet Patch for a single player, Rookie Stars Dual Signatures and Six Star Signature Booklets featuring six players from this years NFL Draft! 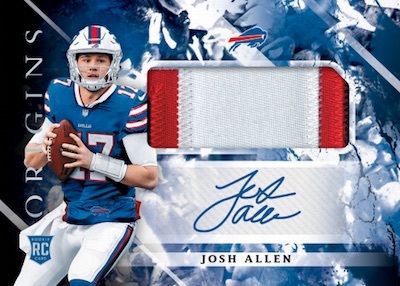 Finally the Rookie Jumbo Patch Autographs cards come in Red (#/99 or less), Blue (#/49 or less), Turquoise (#/25 or less), Gold (#/10 or less), Green (#/5 or less), and one-of-one Black Brand Logo (1/1) editions. 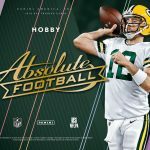 The third hit in each hobby box will be a Rookie Jumbo jersey including patch variations! These have Red (#/99 or less), Orange (#/75 or less), Blue (#/49 or less), Turquoise (#/25 or less), Gold (#/10 or less), Green (#/5 or less), and one-of-one Black parallels. The rest of the box is made up of base cards and parallels. Scheduled for release on August 22nd right in the middle of the preseason! Pre-order yours boxes and cases today through the links below! 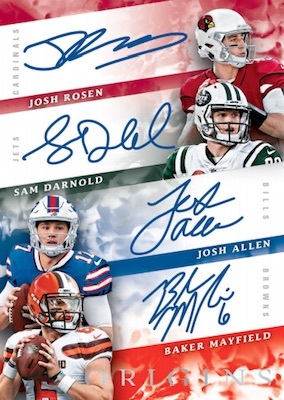 One On-Card Rookie Autograph Per Box! One Jumbo Rookie Patch Autograph Per Box! One Jumbo or Patch Memorabilia Card Per Box! Look for Six Star Signature Booklets! 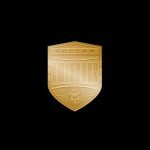 2018 Panini Eminence Soccer set to release a few days after the World Cup completes! Dave & Adam’s Buying Team Secures Two ‘Holy Grail’ Baseballs!